View video of Little Egypt Brass playing Sessor Opera House. Little Egypt Brass plays 40's music for the 1940's Radio Show performed at the Sesser Opera House on December 16, 17, 18, 2011. 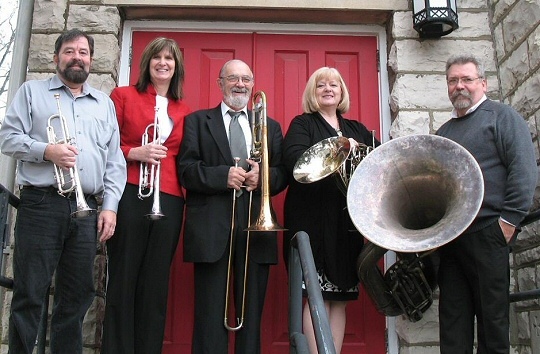 The Little Egypt Brass is a premier Brass Quintet located in Southern Illinois. The musicians in this quintet have over 200 years of combined musical experience in a wide variety of venues, from marching bands and philharmonic orchestras to vintage brass bands and the circus, as well as other brass quintets. 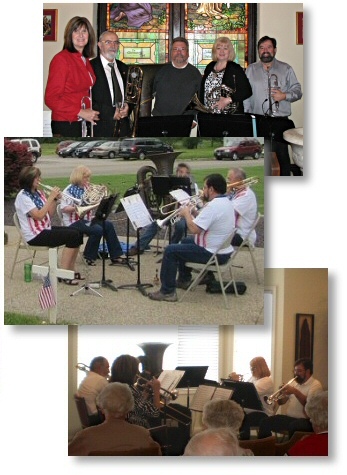 The Little Egypt Brass has a wide variety of music in it's repertoire. Though they are just beginning their second season, they have performed at variety shows, patriotic performances and Christmas concerts as well as private performances. They have performed in a variety ov venues from wineries to churches. How did Southern Illinois get the nickname, "Little Egypt"?